Sometimes I think if I tell my kids to “SaY ChEeSe” one more time they might just throw something at me! This weekend my daughter and niece had their very first dance recital. It was a big day for all of us and I am not sure who was more excited, the girls or me and my sister! The audience was packed with friends and family who came to watch our little ones dance to Bibbidi Bobbidi Boo and of course we were armed with our cameras to document each adorable step they took. After the recital we gathered outside to take some group pictures with our family and friends and after a while the kids were just SpEnT. 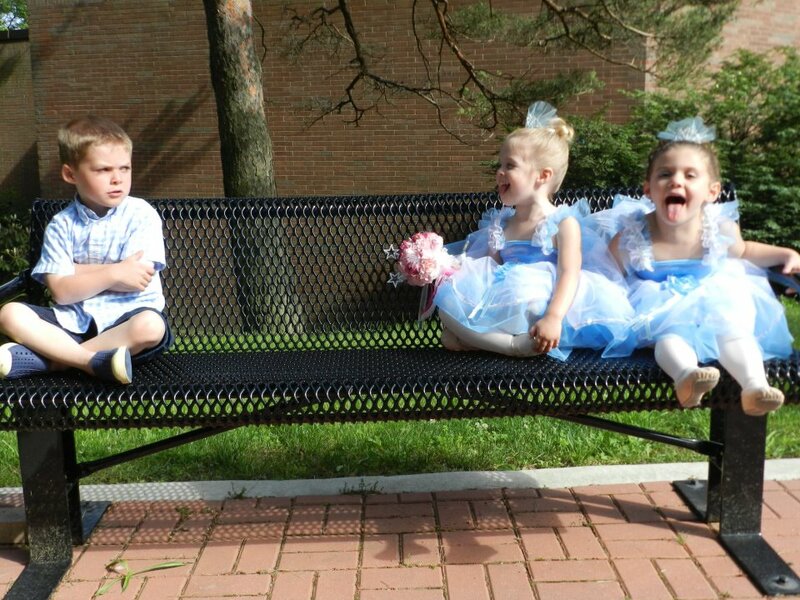 We realized we didn’t get a picture of the girls with my son who had been such a trooper all week as we dragged him to dance pictures, dress rehearsal, and now the recital. Since their cooperation was at an all time low we decided to let the kids do a SiLlY pose and told them to make a funny face. The girls immediately stuck their tongues out and I shot this incredible picture! It is something my family will cherish for years to come. Not to mention…any of you who follow my posts know that Nicholas can use a little teasing from Abby and his cousin now and then for all of his antics! When trying to capture the PeRfEcT MoMeNt this summer, remember planned photos aren’t always the most memorable! Have fun and let your kids be silly too! Great expressions on all of the kids faces!